Feng Shui is an ancient Chinese study of the environment that has gained acceptance as a standard practice for creating the ideal present-day environment to live and work in. 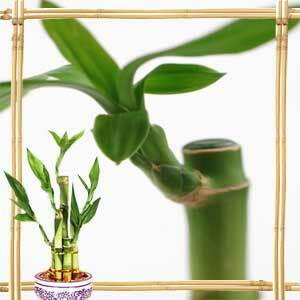 Feng Shui makes recommendations on improving your relationship with the environment around you. Yin and Yang is an important facet of Feng Shui. The concept of balance and harmony as symbolized by Yin and Yang forms the very core of the principles of Feng Shui. Harmony within the five elements - fire, earth, metal, wood and water is also critical to this ancient science and art. Feng Shui attempts to promote the flow of positive energy and at the same time neutralize or avoid negative energy. Energy, which constantly courses the earth, is where all living forms derive power. Feng Shui can be called the Art of placement. Feng Shui products are used to ward off some negative elements of certain positions and divert positive energy towards it. Feng Shui is regularly used as a decorating principle. It is believed that the way you position your office and home furniture can have an influence on your success and efficiency. Feng Shui wind chimes, Feng Shui dragon and Feng Shui fountains are placed at the right corners of your bagua to bring in prosperity. If your financial situation appears chaotic, try placing a heavy Feng Shui stone or statue in the Wealth corner of the house. Alternatively you can place a large potted plant. Make best use of light and texture to bring out the best energy in any room. Avoid very bright fluorescent lights. Create yin or mild light settings in the living and dining rooms. Do not let long hallways or corridors become a block for chi. Instead with clever placement of furniture or plants, you can allow the chi to change course. Objects, small and big can play a big role in improving your living environment. Our thoughts have energy too. 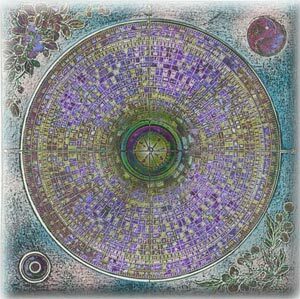 So all in all, try and create a positive space so as to attract more positive energies. Wealth cures can be adopted with stones and crystals. Use those with smooth edges. Crystals are said to emanate positive energy. Rose quartz crystals are used to heal broken hearts. Hematite is used as an energizing stone to ward off depressive bad moods. It is considered to have beneficial properties on blood circulation. Want some tips on getting your house done up Feng Shui style? What are the best Feng Shui colors for your bedroom? Our section on Feng Shui will bring you the best of Feng Shui from across the Net. You can learn about the guiding principles of Feng Shui and how they can be used to decorate your living space. Explore the World of Feng Shui and learn the principles of this Ancient art. First Published Date: 23 Mar 2006 Last modified Date: April 25 2019 This page may have been updated recently as new information is available or the content may have been edited for better readability.